WordPress is world’s best CMS (Content Management System) around the world wide web. 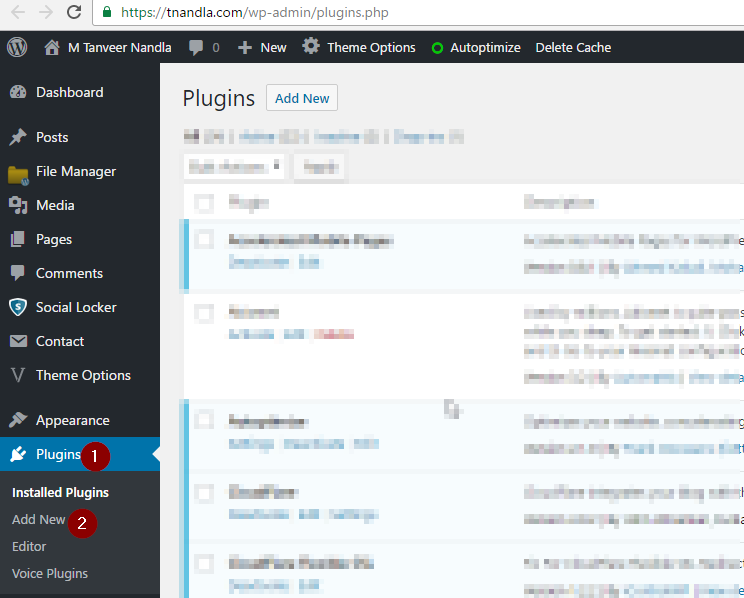 Anyone who installs WordPress, comes across SEO plugins that could make life easier by auto tweaking website to make it Search Engines friendly. There are many plugins available on WordPress plugins repository but I rank Yoast SEO the best free SEO plugin in the market. This could be very bold stance of declaring it no. 1 but yes, Yoast has dominated the market for its lightweight, easy to use and comprehensive settings. Yoast SEO can do everything a professional SEO expert can do when it comes OnPage SEO. It can do all the stuff needed for a website to make it search engines friendly or say Google friendly. 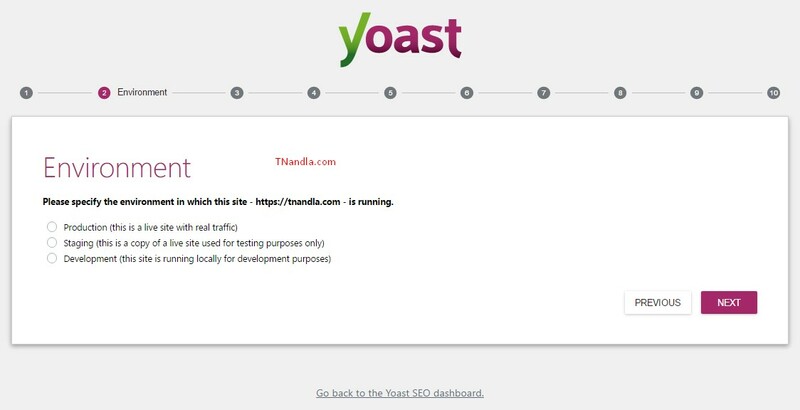 Yoast SEO WordPress plugin can be harmful for your site too!!! It requires proper setting and if not done properly, it could damage your site’s SEO for example it may index duplicate content, deindex all of your site and can create other similar issues. 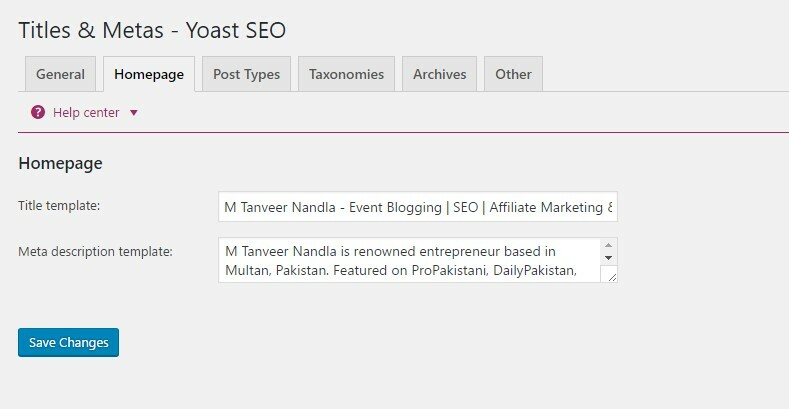 So, let’s configure Yoast SEO with Tanveer and see how M Tanveer Nandla uses Yoast SEO WordPress plugin on his websites. Let’s start learning how to use Yoast SEO WordPress plugin with best practices. Yoast SEO WordPress plugin can be installed straightforward like other plugins. You can download Yoast SEO WordPress plugin from this URL and upload it manually through FTP or web hosting control panel such as cPanel and Plesk. You’ve successfully installed Yoast WordPress SEO plugin and now ready to configure it with SEO best practices. At this point, you will be selecting environment of your site. You will need to select one option out of three. Normally we opt to choose Production as we are configuring Yoast on a live site. Yoast is asking what site type you are? If you’re running a blog on this website then you will simply check Blog, if it is an ecommerce website then go for WebShop, News site option will be checked if you are planning to start a news website. Due to this selection, Yoast will categorize your website accordingly. This is self explanatory option as if you are a company, blog or non-personal site then chose Company or otherwise choose person. Fill in social profile URLs. Social profiles are very helpful for social appearance as it gives you exposure of social media and help you build social branding of your website/blog. In the post type visibility setting we have three options for posts, pages and media. If you select post type hidden it will no-index your posts which means your posts will be hidden from search engines. By default posts and pages are set on visible. You have to specify that your website will have a single author or multiple authors for posting articles. Yoast helps you to integrate your Google search console or Google web masters tool with your website (First you have to create your Google webmasters account). This will help you track how your website is indexed in Google and other settings GWT offers. You can create an account on search console using your gmail account. Fill in the website’s name you wish to appear in search results. 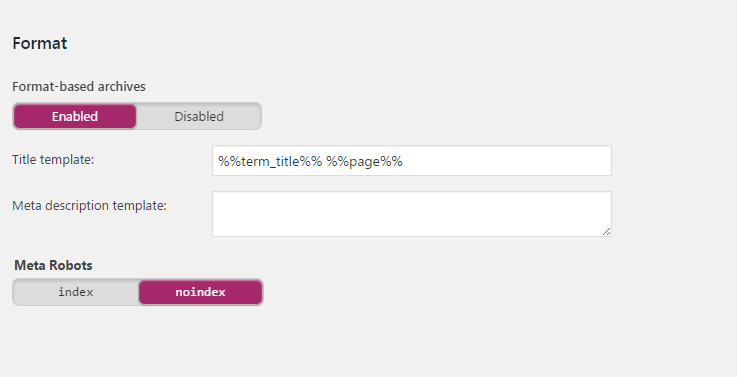 Yoast let you select symbol to use as title separator. Just click on the symbol you prefer under the tab Title Separator. These separators appear between your site name and post’s title. Congratulations you have completed your Yoast Plugin Configuration wizard. 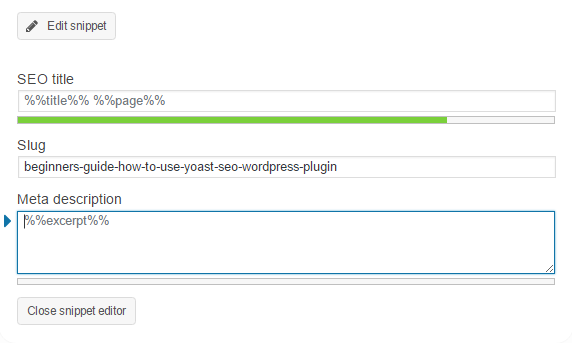 Now you are done with Yoast Plugin Configuration and its time to go deeper into Yoast settings. 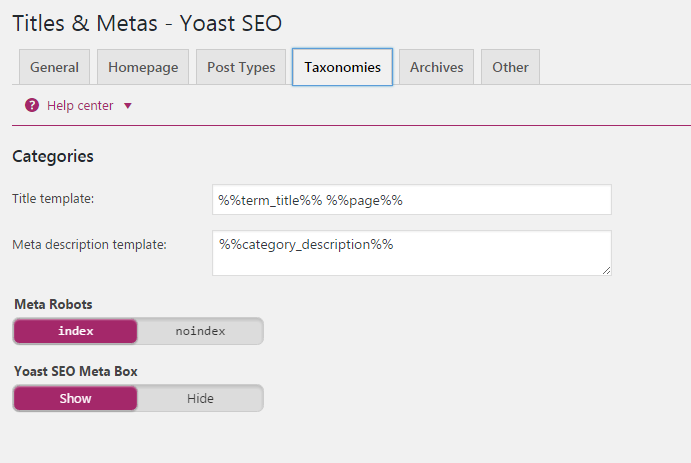 Under titles and metas, set how title tags, meta descriptions tags and robots metas for post types and taxonomies settings. We will go through each of the settings one by one. Here you can set some of your website’s general settings. 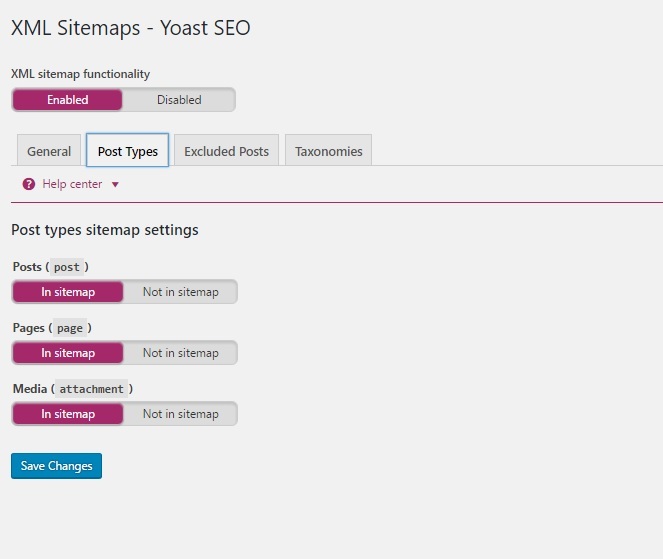 Force rewrite titles: If Yoast settings don’t appear on site like you set title of homepage template in yoast but on your homepage, only sitename is appearing in title tag, it means theme or plugin other than Yoast overriding the SEO settings for your website. 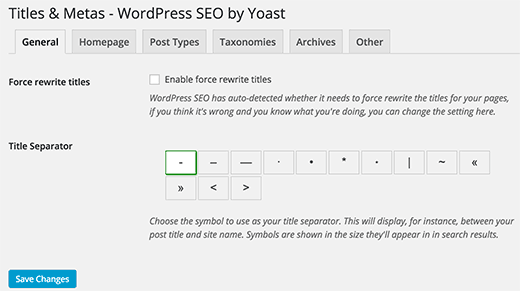 Enabling force rewrite titles can fix duplicate site name but it’s not preferred according to Yoast since it can slow down your site. The preferred solution is to go to Appearance –> Editor –> Header.php, then delete everything between <title> and </title, then replace it with the code below. This affects the SEO title structure for all pages so when you’re done, double check how your new SEO titles appear (again, by hovering over the browser tab). As the name suggests, you will now define the title and meta description of your homepage. Title template is basically a way in which you define how your title and meta description appear on your website/blog and suggest Google to pick that meta title and meta description. We will discuss how meta title and meta description are written in onPage SEO techniques. You can set it statically for your homepage but for post type, you can set a template so each post have unique title and meta description. The predefined title templates is good to go. Enter your website’s description and Click on Save Changes. Yoast allows you to set your own post type title template such as page, post, attachments and revisions. Use template tags as shown above in the image and write down unique title for every post you write. This template tag will bring your post title as your meta title and %%excerpt%% will auto generate your meta description tag from your content. That’s my recommended settings for Post Types meta templates. Meta Robots let you select between index (Search engines can index your content) and noindex (Stop search engines to crawl and index your content/post). Sitemaps are used to inform search engines about you content. It is basically a map which contains all the pages and content of your website and this map is read by search engine web crawlers like Googlebot. This helps the search engine to know about the website’s organization. 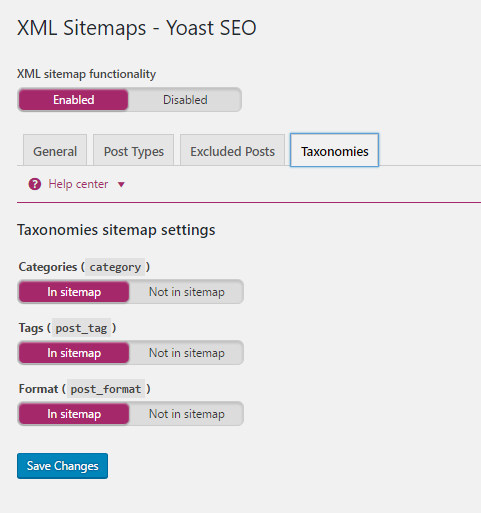 In WordPress Yoast SEO let you add XML sitemaps. 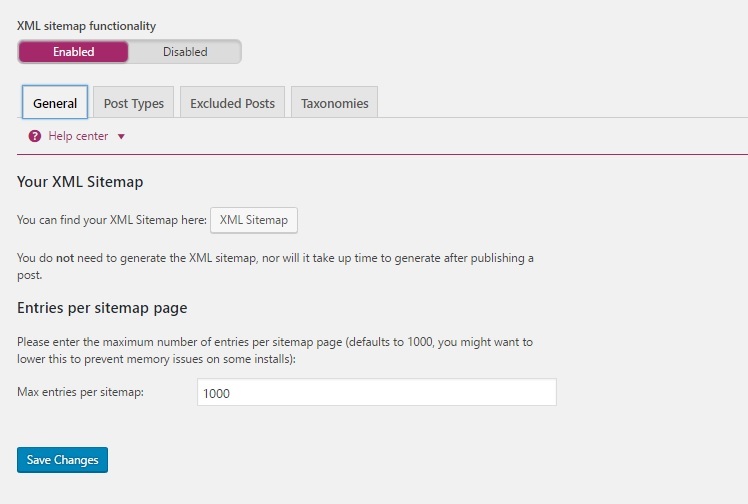 Enable the XML sitemap functionality. 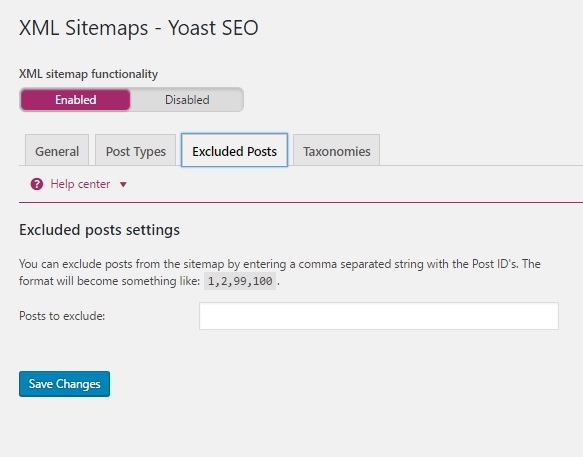 You don’t need to generate XML sitemap manually Yoast will automatically generate sitemap for your website after every post. Under the Posts Types Tab you can select the things which you want to appear in your site maps. Like if you don’t want media on your website in your sitemap just click on “Not in sitemap” option. You can also exclude or remove any of your posts from sitemap using “Exclude Posts” Tab. Just enter the Post ID’s in the textbox below and use comma in case of multiple posts. Categories, Tags and other taxonomies of your WordPress website can be customized for sitemap under the “Taxonomies” tab. This is one of the important parts of Yoast and needs to be configured properly. Do the same with tags as done with categories. Should tags be no index or index? That’s a very hot debate that never ended even in 2016. Let me sort this out with the best practice i am using since years and what I learnt from my experience. You want to rank for more keywords? If you want to rank for more keywords then set tags indexing status on and let tags rank for you. Do not make too many tags per post otherwise it may go towards keyword stuffing and your site may get penalized. Make few tags that can be used as sub categories. You can find tags related to your post by using Google suggest aka Google instant. I will make a detailed post about it next time. So, I would prefer to use tags as sub categories and rank them to get more visitors for my site. Add up unique title and unique description to each tag so it gets some value and can rank in Google Search Engine Result Pages. 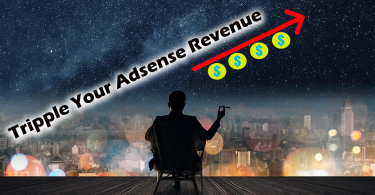 This method has worked pretty fine for me and sometime when I couldn’t rank for my main keyword, one of those tags ranked and given me thousands of visitors. 2. 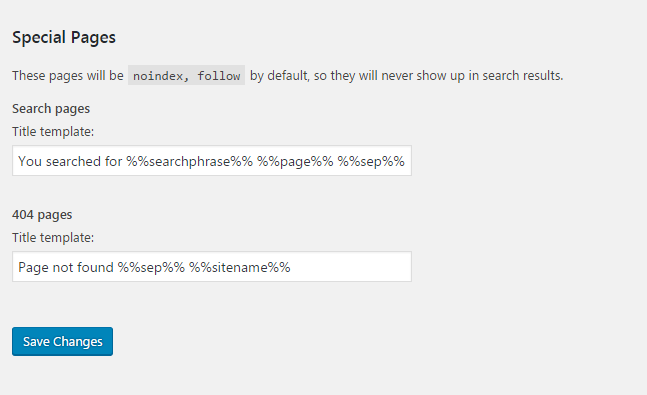 If you want to make keyword stuffing then set tags as nofollow and noindex. It may help you in on page SEO for a while. Few people tend to use more than 10 tags for a 500 words post and repeat the words related to their post again and again. 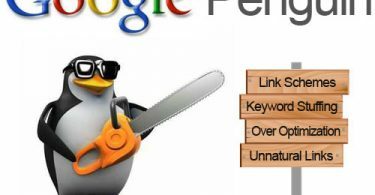 This may help in manipulating Google rankings but your rankings won’t last longer and also you will miss a big chunk of visitors. If you got any confusion about above two methods, you can ask in comments section below. Just enable the format based archive and title template as should be as mentioned below in screenshot, while On the “noindex” in Meta Robots. We want to disable any unnecessary archives. If you think you have created any custom taxonomy, you may set meta robots for format based archives as index. These are some simple and small, but important settings that you have to do properly in Archives too. Just switch on “Disbaled” in Author Archives, and “noindex” in Meta Robots. 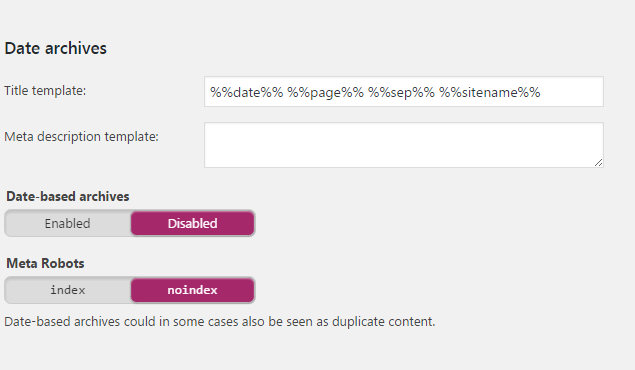 Date Archives’ title template must contain date, page, sep and sitname while turn on the button of “Disbaled” in Date-Bared-Archive and “noindex” in Meta Robots. Search page will have search phrase and page name in it. Not Found page can have text of your choice, I opted to write Page not found separator and then site’s name. Just hit the enabled button and breadcrumbs will be enabled for your wordpress website. You can set the separator between breadcrumbs and other options here. You can also Bold the last page in the breadcrumb hierarchy which will be the page you are on. 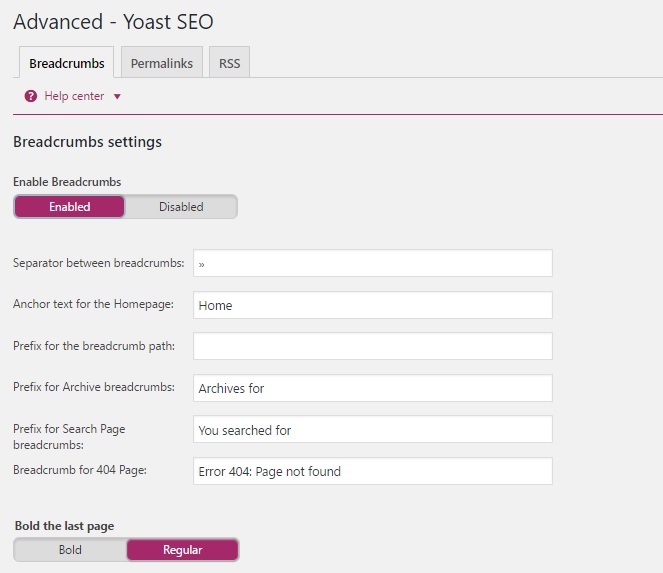 First you have to select SEO friendly permalink structure in WordPress settings because this feature of Yoast provides Add on’s to the permalink structure you have selected in wordpress settings. So don’t get confused between WordPress and Yoast permalinks settings. If you want to remove the default “/category/” from your URL you can select REMOVE under change URL’s. It will exclude that part from the URL of your categories and that’s what looks nice actually. Alert: Doing this can sometimes create conflict between page URL’s and category URL’s. 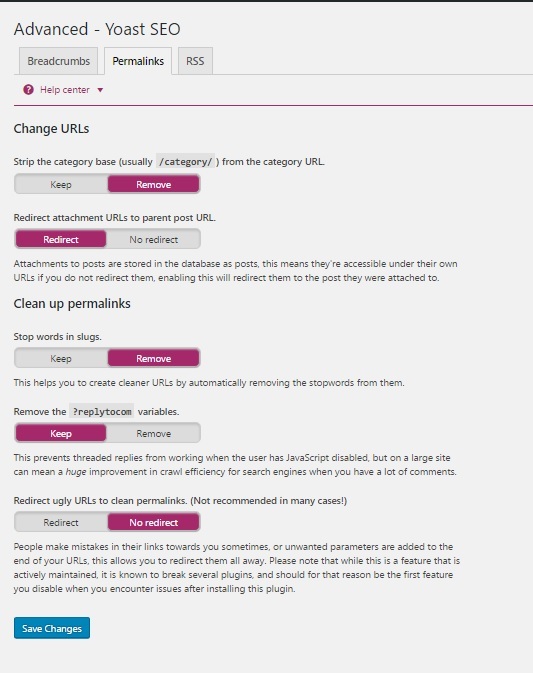 Attachments to the posts can be accessed using their own URLs but if you redirect those posts to parent post then that will redirect them to the post they are attached to. The next option will help you remove the stopwords ( of, for etc ) from your URL. Some people disagrees with Yoast and leave this option unselected as enabling this feature may end up in some conflict with other plugins or theme. We advise to ignore you the “Redirect ugly URLs to clean permalinks” option. Alert: This can cause problems in your plugins. 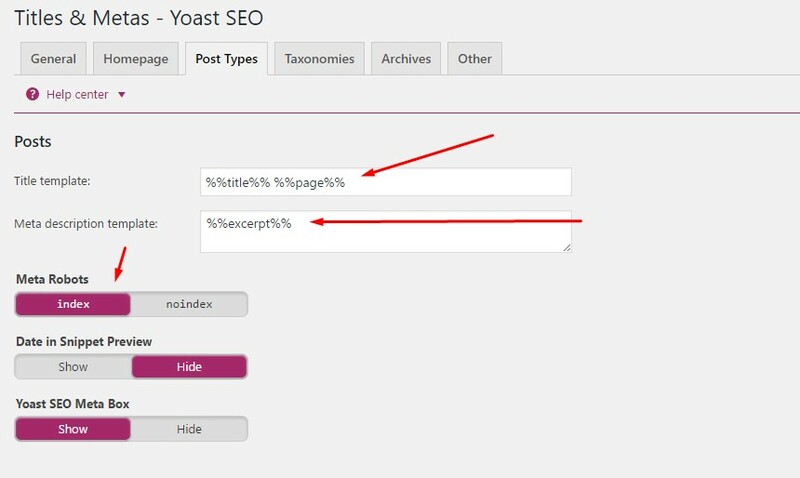 You will now see a Yoast SEO Box below every post and page editor which will help you customize your post to be SEO friendly. Now we will discuss how to configure a post using Yoast properly. Under the focus keyword enter the keyword you want this post to rank for. Than Click on Edit Snippet. This will expand this box into a snippet editor. SEO title will the title template which we used during the setting of our Yoast plugin. Enter your Meta Description about the post which will just be the optional summary of your post. And then Close the snipper editor. 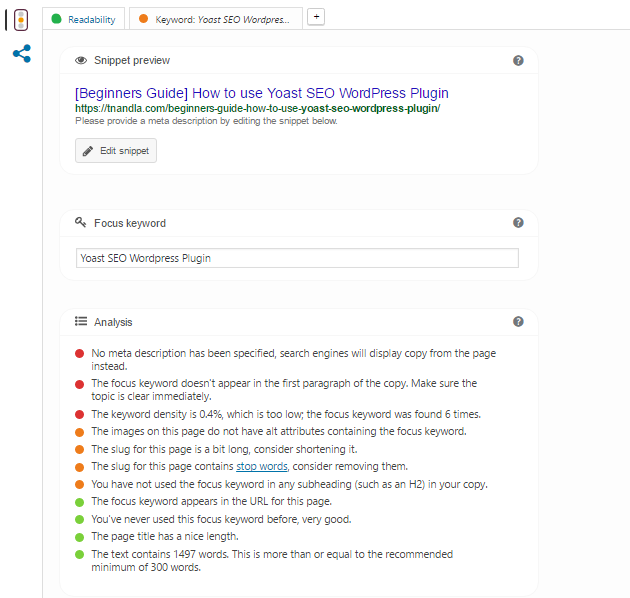 After providing the focus keywords Yoast will provide you insights or suggestions for your post under the Page Analysis Tab. The suggestions will look like this. Follow the instructions generated by this tab to improve the visibility of your post in search engines. These are very straightforward but important things just read them carefully and implement the suggestion. Usually this analysis helps a lot but remember don’t over optimize the article so that i losses its true meaning. 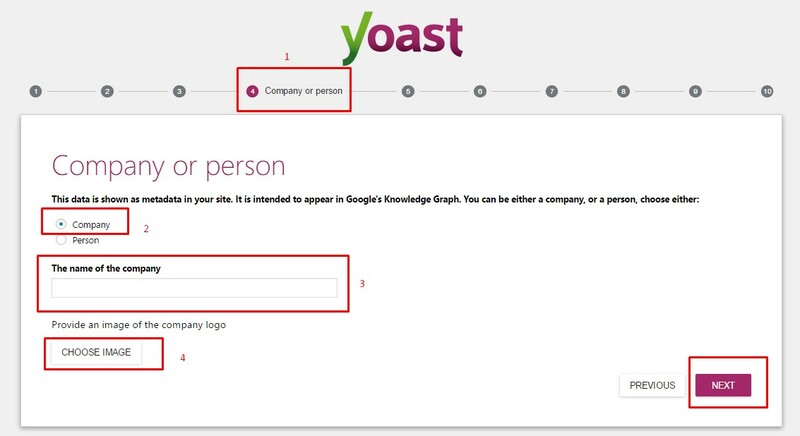 It was a long guide of Yoast configuration, even I have tired of reading it so let me make it easy for you. 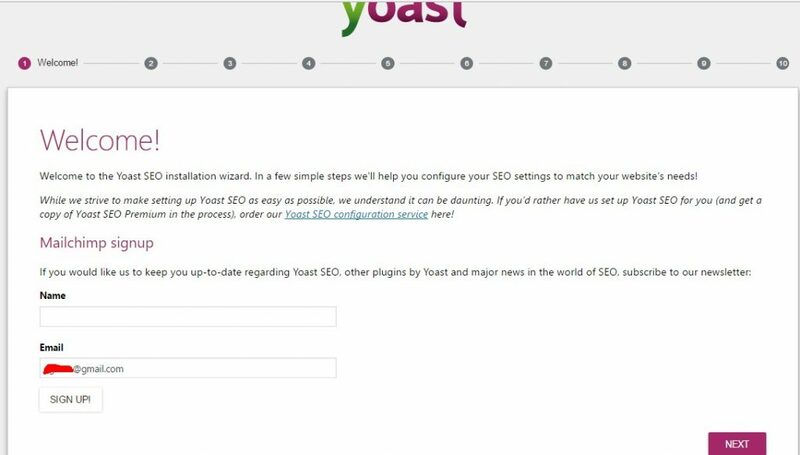 I’ve export yoast seo settings for you so that you can download it and import it on your website. This will hardly take your 120 seconds. Happy? How to Import Yoast SEO Settings? 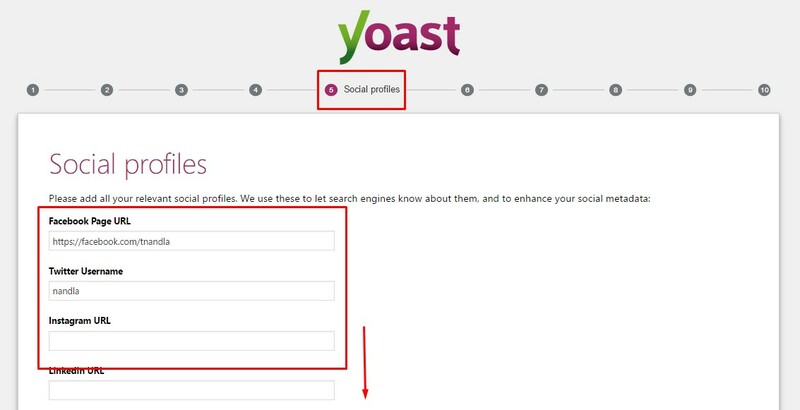 Go to Yoast SEO Settings Page > Tools > Import > Choose File (Select file you just downloaded) > Import Settings. I prefer Yoast SEO WordPress plugin over All in One SEO pack and other similar plugins because Yoast is efficient, simple, fast and comprehensive. It fulfills all of your SEO requirements if used properly. Feel Free to ask any related question in comment section below. Jazak Allah sir! You’re blessing for newbies like us. Now waiting for your complete course. I am ready to pay any price sir. Update my site settings after reading this. So easy way to configure settings for this plugin. Thank you for your great post. Keep it up. We follow and will follow your steps. I like Your effort and pray for your success. 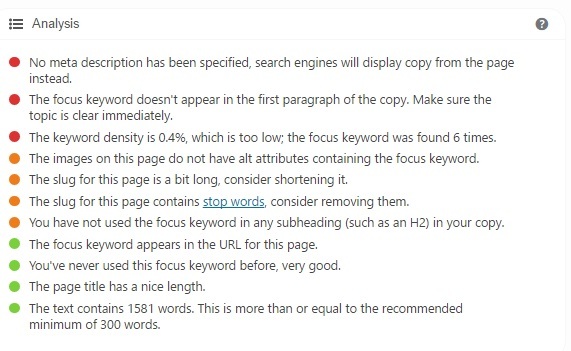 yoest seo plugin ki settings nai ho rhi thi mere say, after read this i am able to fix it. Thank you very much Tanveer bhai for your great efforts. It is very helpfull for me. Allah bless you in both of the worlds. But what if i chose to no index tags and categories? PS: I dont keyword stuff the post. I never see a detailed article like this, love to visit your site again! Any page you want Google to see, index and rank then you will keep it index. Any garbage like repetitional content will be marked as noindex. Brother Tanveer! I have tried it on my blog, But when I import settings it will shows an error. Please take a look on it, I need yoast SEO settings urgently. Nice. But here is problem.When I install it and go to setting it shows a different picture than yours. Thank you for writing and sharing such a helpful post. There are some points about which I am still unclear and one of them is about “Tags, Taxonomies configuration”. Kindly tell what to write in description box of it. Second point is about “Permalinks settings”, kindly brief me about the galleries point which can cause an adsense ban. What are these galleries? Nice and much easy to understand for the newone. Thanks Dear ! I was really looking forward to finding the total YOAST SEO setup. I found it on your website. Thanks a lot for sharing this important piece of information. Everyone needs to know this process to make everything is okay on their website’s SEO plugin. 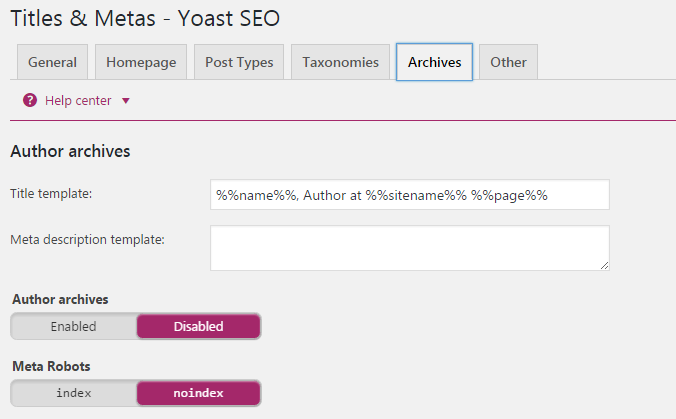 Yoast SEO WordPress Plugin <Liked it!